From the age of 13 Harvey Shiflet worked summers in Virginia Beach as a charter boat mate all the way through college. He earned his 100-ton Master’s License during his junior year at the University of South Carolina and upon graduation purchased his first boat to start Outer Limits sportfishing charters. The 36 Topaz eventually paved the way for Harvey to commission the build of a 56 Paul Mann where he received hands-on experience in custom construction techniques, large-scale project management and Carolina craftsmanship. The Outer Limits operation enjoyed an average of 250 fishing days annually including Mexico and was a star in the renowned Oregon Inlet fleet taking firsts in tournaments such as the White Marlin Open and Pirate’s Cove Billfish. Ready for new adventure Harvey began a career in private boat operations including a long stretch of travel with round-trips to Bermuda and through the Panama Canal back and forth to Los Suenos, Costa Rica. From there he was recruited to helm the demo program for Bluewater Yacht Sales and as company captain led a successful Bluewater team on the tournament circuit aboard the latest Viking flagship. In addition to fishing duty, Harvey managed and maintained the company’s fleet of new and brokerage boats as well as handled clients’ orientation to their new boats and the operation and maintenance of all systems and equipment aboard. These years garnered him invaluable knowledge aboard a wide variety of production and custom yachts including time spent at production yacht facilities working directly with manufacturer designers and engineers. 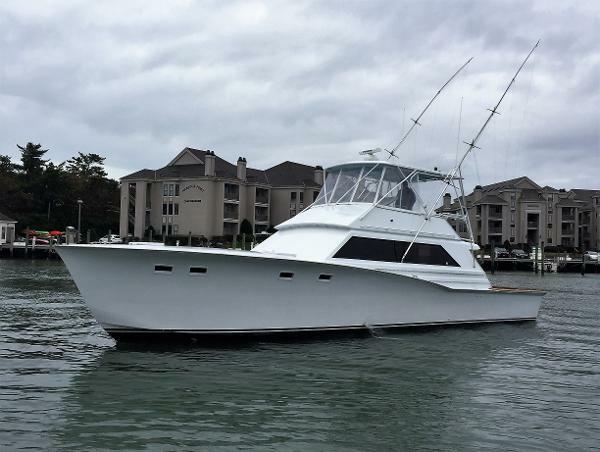 Prior to rejoining Bluewater, Harvey successfully started a yacht management, consulting and delivery business, Outer Limits Custom Services where one of his first clients handed him the operation and management of a 64 enclosed bridge Viking sportfish. 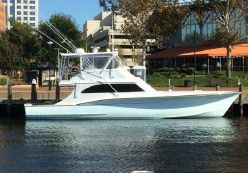 From delivering the new boat from Lake Superior to the Chesapeake Bay, he was responsible for rigging the formerly freshwater boat for a bluewater campaign culminating in a day’s offshore trolling record of 42 white marlin off Virginia Beach. After a successful couple of seasons, Harvey was tasked with selling the boat as well as finding and securing a project boat to be restored, refurbished and made ready for travel and tournaments. The sale and purchase of a 61 Spencer happened in only 10 days and in tandem with the Bluewater Yacht Yards brought the Anticipation up to speed and back on the trail. A lifetime of customer service, boat handling and management uniquely qualifies Harvey to bring his expertise to bear on behalf of his clients. Knowing the market from multiple perspectives serves his clients a multidimensional advantage for marketing your current boat or matching you with your next. Harvey is the father of 4 beautiful daughters (Ali, Kelsey, Hope and Maggie) and one son, Harvey (Hatcher) V appropriately named after his dad. Harvey and his wife Meg reside in Charleston, SC and spend much time in Florida and Virginia Beach, VA.